Premieres his PANDORA SESSIONS, a curated collection of exclusive live recording se ssions featuring established and emerging artists. Each session includes on demand audio tracks along with performance video. 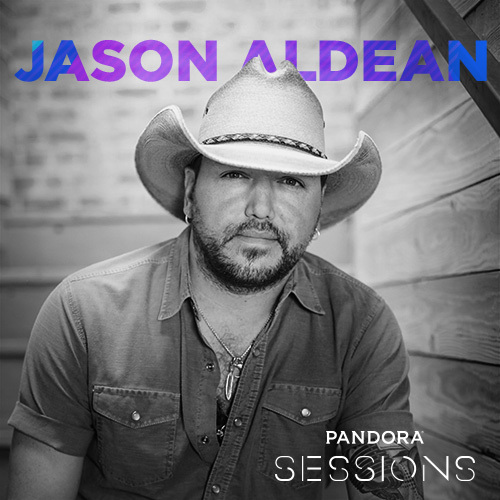 The session, recorded live at Pandora’s Oakland headquarters, features 5 songs: A Little More Summertime, Burn It Down, Dirt Road Anthem, Lights Come On, This Plane Don’t Go There, and a commentary from Aldean. Pandora is the world’s most powerful music discovery platform – a place where artists find their fans and listeners find music they love. We are driven by a single purpose: unleashing the infinite power of music by connecting artists and fans, whether through earbuds, car speakers, live on stage or an ywhere fans want to experience it. Our team of highly trained musicologists analyze hundreds of attributes for each recording which powers our proprietary Music Genome Project®, delivering billions of hours of personalized music tailored to the tastes of each music listener, full of discovery, making artist/fan connections at unprecedented scale. Founded by musicians, Pandora empowers artists with valuable data and tools to help grow their careers and connect with their fans. Country Music News Blog participates in advertising programs that help fund the operation of this site. For more information please visit our privacy statement. This entry was posted in Jason Aldean, Press Releases by admin. Bookmark the permalink.